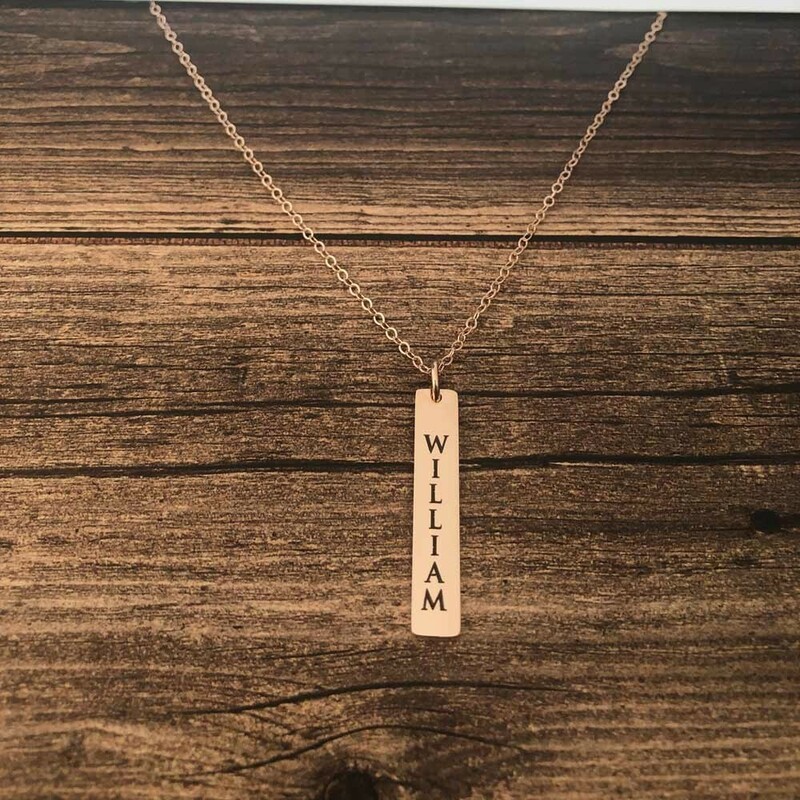 The rose gold drop bar necklace is beautiful to wear and can be personalized with initials or names and special dates. 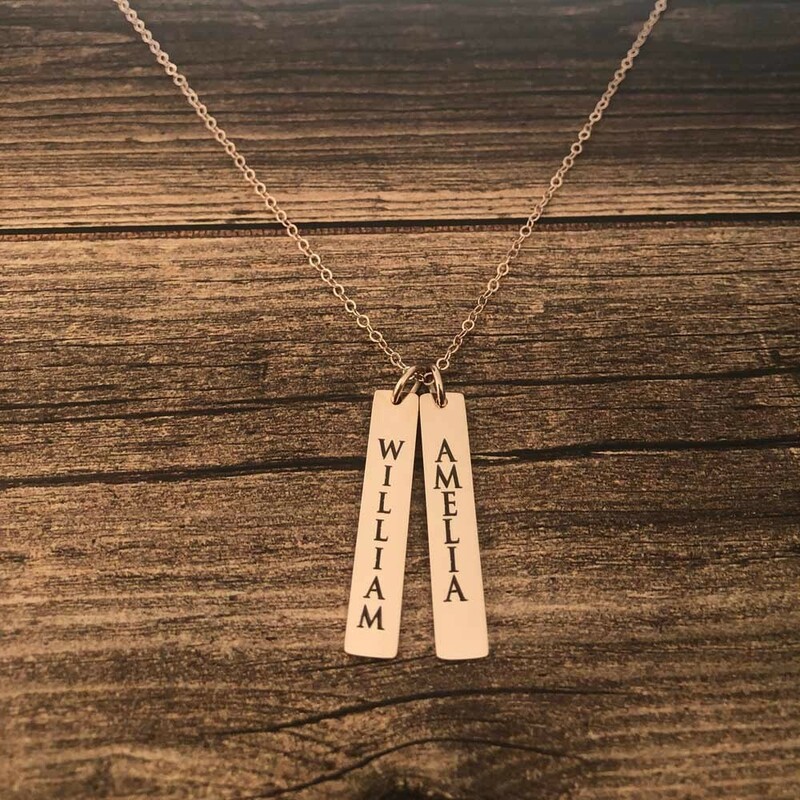 This pretty necklace is a stunning gift for yourself or your loved ones. 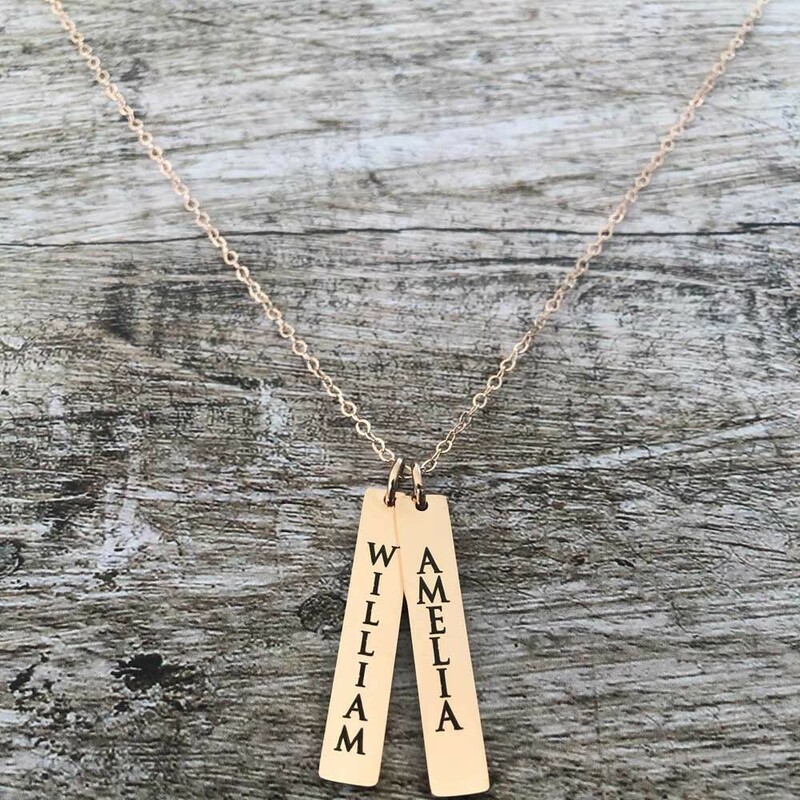 Imagine the look on their face when they receive their very own personalized rose gold, gold plated necklace! 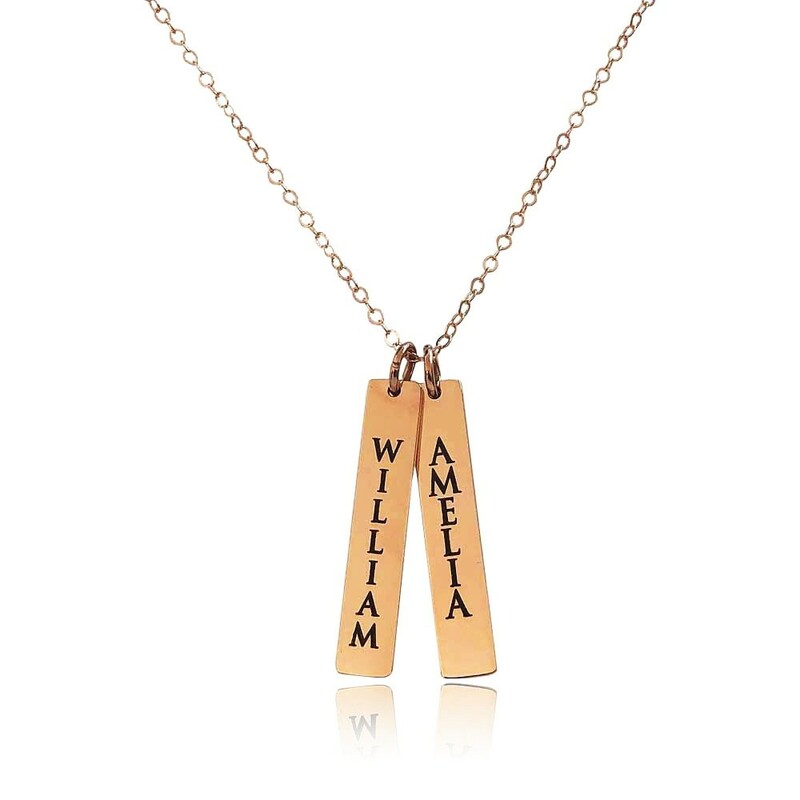 Perfect as a bridesmaid gift with their name on one side and special date on the reverse.